This Montpellier wine cooler is perfect for storing your favourite wines. 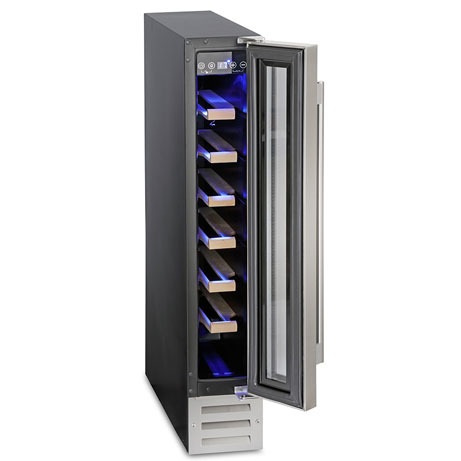 With a temperature range from 2°C to 20°C this wine cooler holds seven x 75cl Bordeaux style bottles at the optimum temperature. Whether you like your whites icy cold or your reds above room temperate, you can set the perfect storage temperature for your favourite wines. Unlike most coolers, this Montpellier Wine Cooler can chill bottles down to 2°C rather than the usual 4°C. 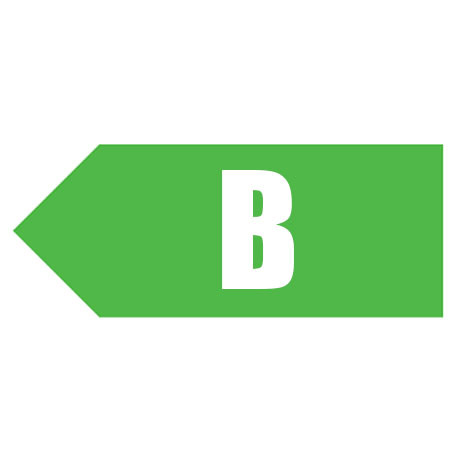 It can also reach temperatures of up to 20°C. As well as perfectly maintaining your chosen temperature, the triple glazed tempered glass door is also UV resistant, which helps protect wine from being spoiled with sun damage. This wine cooler adds a sophisticated touch to your kitchen with its stylish stainless steel door and six beech wood shelves. The blue LED lighting adds ambience to your kitchen, and can be switched on and off whenever you like. And, the special anti-fingerprint coating means that your cooler will always look glossy and new, no matter how often it’s used. The specially designed noise dampening system helps to prevent your wine cooler from vibrating. 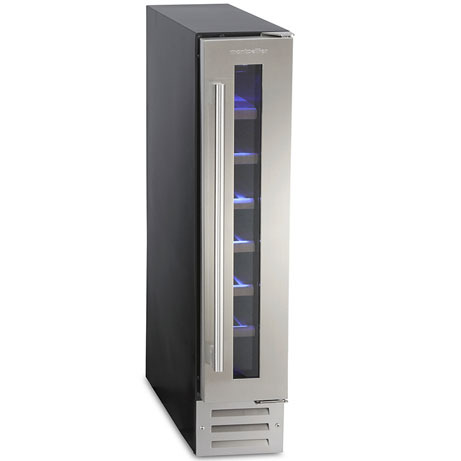 This ensures quiet operation, so you can keep your wine perfectly chilled without losing peace and quiet. With the option to reverse which direction your door opens, this wine cooler is guaranteed to fit seamlessly into your kitchen layout. The simple to use digital touch display panel is situated at the top of the cooler inside the door.